- "The Fathers stress that man is not the image of God. Only the Word, the Son, is the identical image of God. The Word is the image of the Father. Because the Word is the image of the Father, Christ (Who became man) is the image of the Father as the Word. However, as a result of the mutual exchange of properties, the incarnate Word, that is to say, Christ's human nature, is also the image of the Father. The human nature of Christ is also the image of the Father by reason of the incarnation. Man is not the image of God. Certainly man is referred to as the image of God, but this is a misuse of the term. Strictly speaking, man is made in the image of God and is not the image of God." - "The spiritual man, who is in the image and likeness of God, is not someone who lives with the natural immaterial element of his nature, in other words, the soul, but someone who lives in accordance with the Holy Spirit Who gives him life and makes him incorruptible. Thus he participates in divine immortality." - "Only that human being who is a temple of the Holy Spirit is the image and likeness of God." - "The life-giving energy of the Spirit is not given to man automatically and magically. Man's co-operative effort is necessary to enable him to live by faith and love in accordance with his original and final destiny. When, however, man does not follow the Spirit, he is deprived of the life-giving energy of God and becomes merely natural." - "Holy Scripture refers to man being created in the image of God, but what this means was only fully revealed at the incarnation. Man's destiny from the beginning was to become like Christ. He was to become god by grace, to attain to being in the likeness of God. In practice, being in God's image means being like Christ in compassion. Now man, by imitating Christ, becomes an image of the Father by grace, participating in the glory of Christ. Thus when someone reaches glorification and attains to being in the likeness of God, he becomes Christ by grace, that is to say, god by grace." - "Plato's teaching was never acceptable to the patristic tradition, because the Fathers of the Church never accepted the natural immortality of the soul. For the Fathers of the Church the soul is mortal by nature and not immortal by nature. It is naturally mortal and not naturally immortal because for the Fathers of the Church only God is immortal by nature. Only God is by nature without beginning and without end. Man has a beginning by nature, because he is a creature, but by nature he ought also to have an end. So man is not naturally immortal." - "There are some pietistic textbooks that write that the human soul is from God. If the human soul were from God, then man would be God by nature. According to the Fathers, the human soul did not come from God but from nothing. Just as the body comes from nothing, that is to say, from non-being." - "The human soul itself is material and not purely spiritual, if we understand God Himself as spiritual." 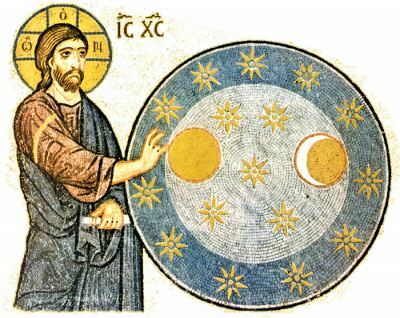 - "Consequently in the Orthodox tradition the immortality of the soul does not depend on the soul being immaterial, non-composite, indivisible and so on; it is not based on nature but on the will of God." - "The Franks, following Augustine, regard the idea that the soul is material as heresy." - "The Fathers knew that there is an organ of the human personality which is not something additional but part of the human personality, which they called the noetic faculty, in contrast with the rational faculty. The rational faculty is what we nowadays call the human brain, that is to say, the whole neurological memory system that is centred on the brain. In contrast to the reason (logos), they call the other energy the noetic faculty, which is supposed to be in man's heart, but it is not in the heart when it is not functioning correctly." - "There are two parallel functions of the human personality. They are rational and noetic faculties. Someone may be brilliant with his rational faculty. He may be an excellent theologian as regards reasoning, and yet his nous may be hardened; his nous may be in darkness. On the other hand, someone may be completely illiterate from the worldly point of view and yet have an illumined nous and even know how to illumine the nous of others. In other words, this illiterate may know how to guide others from purification to illumination. So is he 'illiterate' from the Christian point of view? And who is 'illumined'? Someone who is highly educated and has no idea about the illumination of the heart, or someone who has illumination of the heart and also knows how to guide others to illumination? That is why we see the strange phenomenon that in Orthodoxy the most illumined people are often those who have not studied theology at university. Therefore we have two phenomena. The first is someone who is illiterate as regards his rational faculty and illumined in his nous. The other is someone who is enlightened in his rational faculty but his nous is darkened. There are other examples where someone is illumined both in his rational faculty and his nous. This combination has given us the great Fathers of the Church. When a Father of the Church only has his nous enlightened, we have the great ascetic Fathers who are unrivalled in spiritual matters. Everything they have written about the spiritual life is unequalled, but they have not left us writings like those of, say, St Basil the Great or St Gregory of Nyssa, who also had an excellent secular education. Then we have the other category, people whose hearts are hardened and who are dim-witted as regards their rational faculty." - "The natural place for the nous is within the heart, not in the rational faculty, because the nous is not the rational faculty. It is not the muscle of the heart that prays, but the noetic faculty prays within the muscle." - "When the nous functions naturally, it is in man's heart and prays. When man prays with his rational faculty, that is human prayer, the human being is praying. When, however, his nous prays within the heart, then the Spirit is praying." - "The rational faculty has its place in theology. At the stages of purification and illumination the rational faculty definitely participates. It understands what we can know about about God and what we cannot know about God. Also, the rational faculty understands that the aim of these words is to inspire us with concepts. These concepts, however, are guides to glorification and cannot be equated with glorification." - "For us, everyone who is glorified is a normal human being, because his nous functions, it prays and so on, since he is illumined. That is why he is normal." - "Theology is a function of the nous.... Anyone who theologizes with his nous full of thoughts (logoismoi) does not produce correct theology, because he ought to have only one thought in his nous. If he has other thoughts in his nous, he cannot theologize correctly." - "The body is made up of cells; the whole is a system of cells. The cells undergo dissolution, which is why the body disappears and becomes dust." - "One cell goes to one part of the body and becomes an ear, another an eye, and so on. The cells, to be sure, have a memory inside them. They know how to develop, where they will go and where they will stop, in which location they will multiply and how to play their part in the place where they are." - "In the patristic tradition the experience of glorification does not belong to the soul: it is also the experience of the body. The whole human being participates in the experience of glorification, because it is not only man's soul that is glorified but also his body. The entire personality is glorified. When someone sees God, the whole human being sees God: his rational faculty, his eyes, his nose and his mouth, the whole human being takes part and he is not struck dumb." - "As long as someone has glorification he does not sleep, he does not eat, he does not drink, forgive me for mentioning it, but he does not even go to the toilet. There is a complete suspension of all man's natural functions, as long as the state lasts." 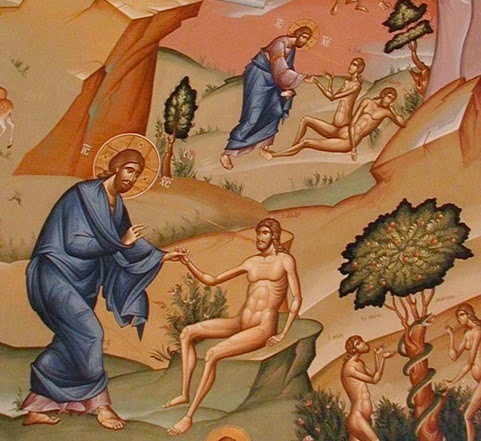 - "That is why we have these strange phenomena in Orthodoxy: hermits, naked ascetics, stylites, tree-dwelling saints and so on, because Orthodox spirituality turns people who are physically weak into lions as regards their souls and their endurance, even against the natural elements." - "Essentially the Fathers were not interested in exactly when the first-formed human beings were created, how they were created, what state they were in, and so on. But what did the Fathers do? They took the current experience of illumination and glorification and they interpreted the Old Testament on that basis. They were familiar with this experience of illumination both from the Prophets and the New Testament, but mainly from their own personal experience, because they had spiritual fathers in the state of illumination, who perhaps 'travelled' now and again into the state of glorification. From their personal experience they had spiritual children, whom they guided using the Prophets of the Old Testament and the Apostles, and they interpreted Holy Scripture correctly." - "The Fathers take someone who is glorified as he is now and someone who lives in theoria as he is now, and they project the spiritual father of their own time back into the era of Adam and Eve. The Fathers take the contemporary state of theoria, which is noetic prayer, glorification, and say, 'This is man. This is man's fallen state; this is man's resurrected state.' So when they theologize about Adam and Eve, they simply theologize from this point of view. Adam and Eve might have had noetic prayer or glorification, they might have had divine vision or noetic prayer - they might or they might not. Whatever the case, they were in the state of theoria. There is no doubt about that. Whether this theoria was continuous remembrance of God or whether it was the vision of God is another question." - "For us the Fall is located in the nous, that is to say, when the nous stopped functioning. This is the Fall." - "Everywhere in patristic literature the Fall is a matter of the darkening of man's nous." - "A fallen human being is one whose nous is darkened. That is the end of the matter." - "The illumination of man means the indwelling of the Holy Spirit in his heart. Then he becomes a temple of the Holy Spirit and the Holy Spirit Himself acts within his nous and illumines it." - "How do we know that Adam's nous was darkened? Simply because we know that we ourselves now have a darkened nous." - "The nous exists in a fallen state and it is inactive. It has vestigial energy that needs to be activated." - "Sin is the the darkening of the nous, the darkness in man's heart." - "Read any Father you like. They refer to the first-formed human beings and their successors as having their nous darkened. The nous has become dark. We also say it in the Akathist Hymn. This darkened nous is the diagnosis. The nous becomes darkened and the cure is the illumination of the nous." - "In the Augustinian tradition sin appeared in an ethical form, whereas in the Fathers of the Church it takes the form of an illness, and the elimination of sin takes the form of therapeutic treatment. We have illness and we have its cure. Sin is man's sickness. It is not simply misbehavior by man, who does not obey God as a subordinate. Sin is not an action or a transgression of God's commandments, like transgressing the laws of the State." - "What is the diagnosis? It is that man's heart has been obscured. What we call the 'nous' in later patristic language, that heart has been obscured. On account of the Fall it has lost the remembrance of God, and this remembrance of God must return." - "The nous was in a state of divine vision and was darkened, not the rational faculty. There are no signs of man's rational faculty having been darkened. Anyone who knows anything about modern science sees that man's brain works excellently." - "When the Fathers say that the nous of the first-formed human beings was darkened they do not mean the reason, but another faculty of the soul, which is centred in the heart." - "Since the Fall the nous has been darkened. Why? Because it is full of thoughts (logoismoi). When does the nous become darkened by thoughts? It happens when thoughts from the mind descend into the heart and become thoughts of the nous. That is to say, there are thoughts in the nous which ought not to be there, because they belong in the rational faculty - mind. The nous ought to be completely empty of thoughts so that the Holy Spirit can come to man, and dwell and remain within him." - "Man becomes an enemy of God through the darkening of the nous. When the nous is darkened, it is inactive and does not work, but even when it works, it works demonically. Someone whose nous is darkened is the enemy of God, in the sense that he does not do God's will, because he is in the dark."